After the success of the essential John Carey DVDs last year, Alakazam Magic is delighted to present to you Prime Time Carey! Modern approach to back-off trick. One by one, cards turn face down, then face up, and then finally change into other cards! Simplimental - Eight incredible mentalism routines that are all quickly learned and easy-to-do. BERNARD BILIS, FRANCE'S KING OF CARDS, TEACHES HIS FAVOURITE SLEIGHTS, TECHNIQUES AND ROUTINES. 27 routines, including a full professional show, underground techniques and essential sleights. Top level magic from one of the World's leading sleight of hand artists. Eddie McColl is one of magic's best kept secrets. This DVD features 9 superb routines that will blow your audience away, with material that you will use. The bonus Toolbox Section also features in-depth training for some of Eddie's signature handlings on the moves used throughout this DVD. "Ran and Andrew share some serious secrets to performing real world material. This is my kind of magic!" Caleb Wiles is a creative force in card magic. Known for his diabolical methods and engaging presentations, Caleb's magic is defined by efficient methods. With a minimum of sleights, these tricks achieve maximum impact. 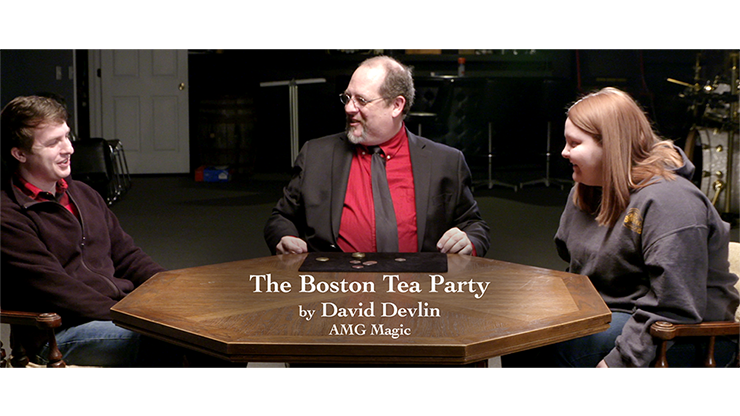 This DVD is, perhaps, the best collection of easy-to-do, powerful card magic ever assembled. Expert card magician Ryan Schlutz has mined over 300 years of card material and collected the very best tricks into one place. All of the tricks have just two things in common: they are HIGHLY deceptive and are simple to do. What happens when the foremost scholar on card magic is asked about his favorite magicians? You get Favorites, a collection of magic that assembles separate, serious studies on three of the greatest card magicians of all time: Alex Elmsley, Frank Garcia, and Dai Vernon. Love card tricks? Well then, you've come to the right place! "The Best Routine in Magic"
Here's a great collection of interviews, reviews, and magic with the top pro's of our craft - enjoy! Charlie Frye and Bill Malone conspire with Johnathan to destroy the Magic Live Dealer room and each other. Kainoa on Coins brings you the best sleight-of-hand and presentations from the Big Kahuna of Coins himself, Kainoa Harbottle. This series provides you with step-by-step techniques from one of coin magic's greatest practitioners. You will learn great card magic from this master! DENIS BEHR has been lauded as one of the finest sleight-of-hand artists in the world. This is your first and only opportunity to witness his brilliance live and on video. Inspired by Nick Trost and Peter Nardi, The Sign is Liam Montier's Star Sign Revelation. It's difficult to imagine a more direct method for revealing this personal information about any spectator you meet! "Once you watch this DVD, you'll understand why I believe George is among the best in the world." The Boston Tea Party is a coin routine in which a copper English penny transposes with four silver half dollars. This will surely help any magician take his or her coin game to the next level. All moves are explained, including the handling of the coins! "Dealing With It 2 is yet another outstanding collection of incredibly strong and oh so practical card magic from the mind of John Bannon. You will be fooled badly by this material and then be thrilled at how easy these miracles are to learn and perform!" The 'Bill Switch' is one of the most coveted effects of both walk-around and stage magicians - if you already use it, you know how powerful it is. The effect is sensational! And now, thanks to Kevin King's Money Morph Video, it's EVEN BETTER!